Remember the last time you went miniature golfing? Fun wasn’t it! Golfland Sunsplash in Mesa is where you can enjoy your friends and family in a pleasant atmosphere. You feel great when you enjoy some quality time outside with nice people and it sure beats watching reruns. 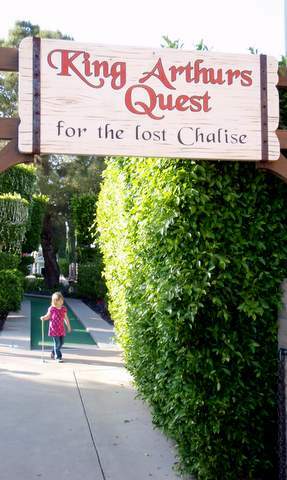 There are 3 miniature golf courses: try the King Arthur’s Quest, Princess Path, or Lost Dutchman’s Golf Course. The miniature golf courses are open all year long. 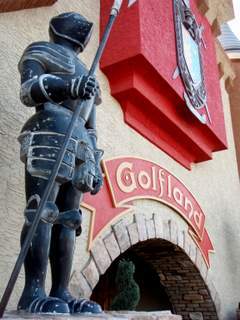 There are lots of staff people to help make sure you have a good experience at Golfland Arizona. We tried out the King Arthur’s Quest miniature golf course and saw that the trash was regularly picked up and the grounds were nicely maintained. 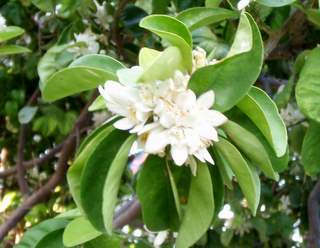 In the spring you can enjoy the smell of orange blossoms and see some nice flowers. Be sure to drink lots of water in the summer. 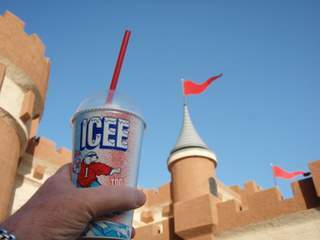 Before you start your golf course try an ICEE. Every hole has a place to rest your drink when you hold the putter with both hands to sink that hole in one! The water park opens so you can enjoy the warm long days of the summer. It begins in May and closes in September. It is open just on weekends at first. The related attraction called Golfland Waterslides has some fast moving downhill slides with heated water for early season comfort. When you are in the water park make sure you drink lots of water. Seems obvious, but people can have problems with dehydration. We had some family visiting from cold and wet Washington. 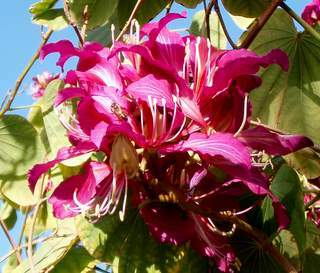 They were not used to the dry dehydrating heat and noticed they got woozy - so drink lots of water even if you are in it all day long! 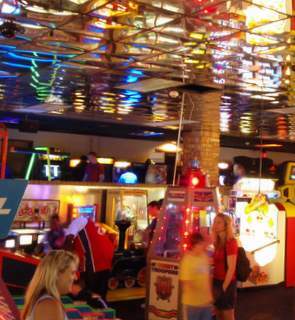 The arcade is open all year long and is especially nice in the hot summer months. It is nice and shady and cool. They have a couple hundred video games that you can play. You can get food and sit down at a booth to enjoy pizza and refreshments-real nice when the kids are busy having a good time. They even have a Laser Tag Arena called Lazer Knights upstairs. This fun racetrack is located across the street from the entrance of King Ben’s Castle. It’s for larger kids or those that can ride with a driver that is 16 plus years old. Check for hours and rates because they can change. Sometimes they remodel and the attraction is closed or there is a special event for a private party. Or like when the Laser Tag turns into a Halloween haunted house. If you go to the water park very often you might do better with a season pass, just depends on how often you will visit. Another favorite is the evening admission into the water park so you can avoid some of the direct sun and heat and save a little cash. The park is located off the 60 freeway in the middle of Mesa. Here’s a map if you need it. Phone is (480) 834-8319.